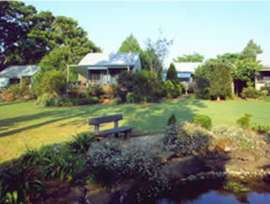 Established guest accommodation acreage with private residence in prime tourist area. All cottages have been refurbished and are in excellent condition. · Private 3 bedroom owners home with spacious rooms completely separate from guest accommodation. · Master private suite on the upper level including large main bedroom, walk in robe, ensuite, office and balcony. Only an hour away from Brisbane, a few minutes drive to popular tourist town and only metres away from popular wedding venue this property is ensured consistent occupancy from both new and repeat business. With solid financial history this property is well worth an inspection. NOTE: I am often on the road and out of range. Please leave your details and I will get back to you. copyright © 2004 Endless Summer Properties.